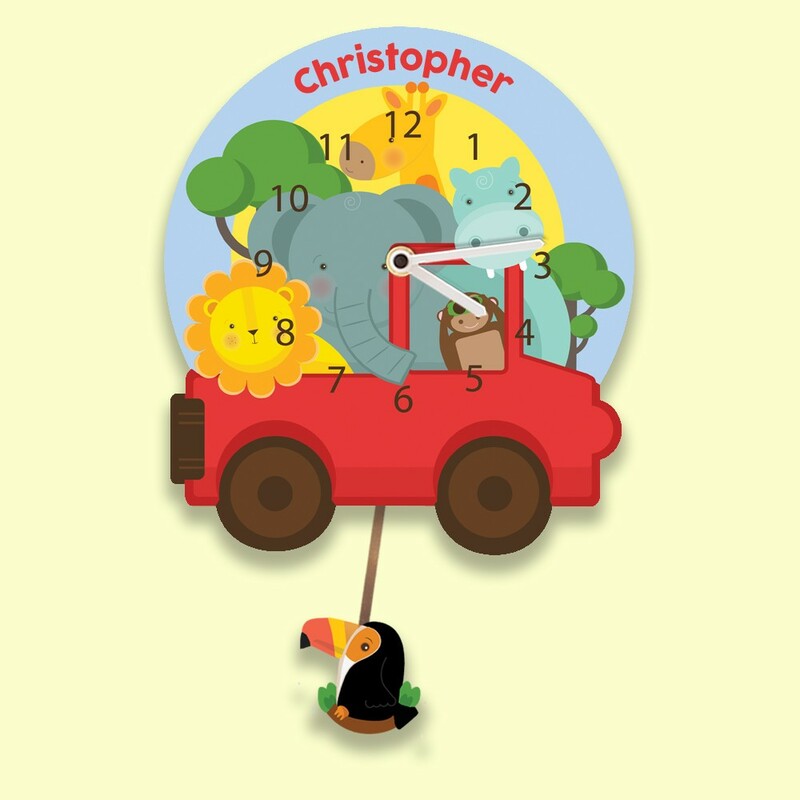 Join all the animals as they seek adventure in the safari truck! Boys and girls will love our fun and colourful wall clock. 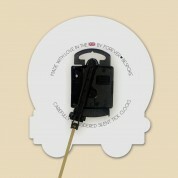 With its silent tick mechanism it is perfect for a nursery. 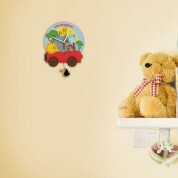 The bright colours will stand out in any room and as your child gets older they will love to use it to learn the time. Elephant, lion, monkey, hippo and giraffe are all squeezed into the bright red safari truck. Monkey keeps watch from his binoculars as the sun sets over the trees. Your child's name is featured in bright red letters. There is even space for two names, if you children share a room. A toucan with a colourful beak is perched on a branch, silently swinging on the pendulum. It is designed and made in the UK and features a quality German Quartz movement which compliments the quality of the British design and manufacture. We think our silent wall clock would suit any occasion, especially a baby's first birthday, Christening, Dedication or Baptism. It will be used and enjoyed for years to come. Other designs are available.